In India, the coconut tree is known as kalpa vriksha, a reference to a divine tree that can meet all of a person's needs. People all over the world use coconut in many different ways to enhance their health and well being. The properties of coconuts can boost the immune system, lower cholesterol, and help heal all types of infections. Coconut water was even used in place of plasma to give transfusions to soldiers in the Pacific during World War II because of its similarity to human blood, saving many lives. Coconut oil is now gaining great popularity as a way to get the benefits of coconut. Virgin coconut oil can be added to the diet to help lower bad cholesterol, boost energy and give a host of other benefits. Coconut oil is antifungal, antiviral and antibacterial to heal the body from all sorts of health conditions and keep it healthy. Virgin coconut oil contains antioxidants called phenols, which studies show can lower the risk of heart disease and fight infections. Phenols are also found in olive oil, but some of the phenols in virgin coconut oil are different. These phenols are not present at the same levels in refined coconut oil, either. Virgin coconut oil is the best source for them. Antioxidants work by giving damaged cells, or free radicals, what they need to repair themselves. If cells can't find what they need from antioxidants, they will rob from healthy cells in the body, creating more damaged cells that can eventually lead to infections and diseases. 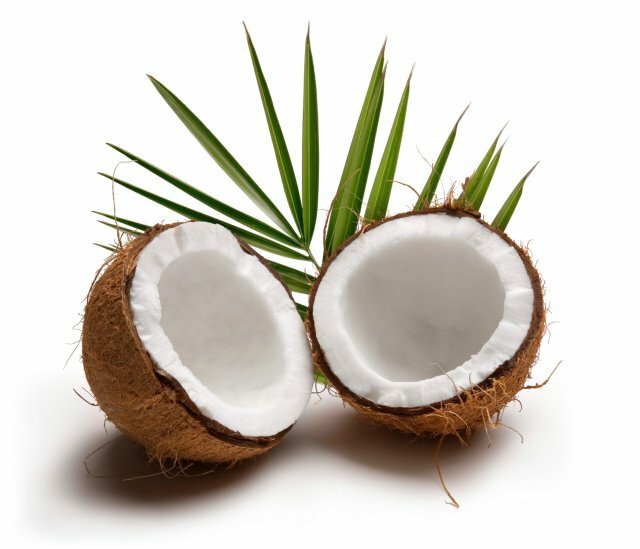 Antioxidants are found in varying levels in most plant foods, including coconut. The body needs all types of antioxidants from all types of foods to prevent cell damage and remain healthy and disease-free. It is necessary to get enough antioxidants in your diet, but antioxidants applied to the skin and hair are also beneficial for keeping them healthy. Antioxidants can prevent skin and damage that occurs from free radicals as we get older or from environmental stresses like pollution. Our skin is the largest organ in the body, and it absorbs some of whatever it touches as well as what is in the atmosphere around it. Many commercial skin and hair care products contain harmful chemicals like mineral oil and sulfates, which may be carcinogenic (cancer-causing). It is best to avoid these products and use natural alternatives like coconut oil. Biconi offers several products for hair and skin that contain virgin coconut oil and other natural ingredients. Hair Rejuvenating Solid Shampoo and Hair Repair Conditioner contain coconut oil to penetrate the hair shaft, thicken hair, and protect it from damage. The coconut oil in these products also hydrates dry hair to improve its appearance and prevent breakage. Radiant Skin Facial Cleanser contains virgin coconut oil as well as noni and other plant extracts to repair damaged skin and protect it from future damage. All of Biconi's products are free from mineral oil, sulfates, and other harmful chemicals. No animal products are used, either. Biconi's products with virgin coconut oil can help your skin and hair be healthy and damage-free.